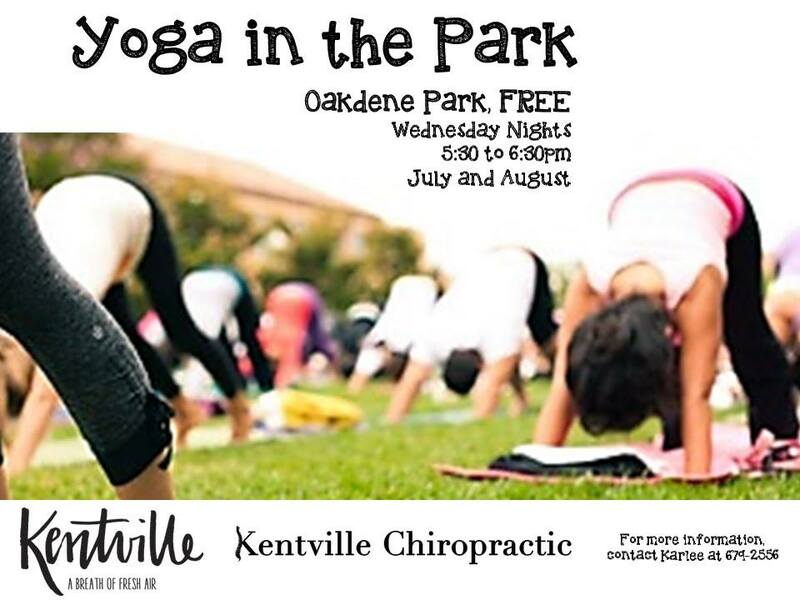 Information The wildly successful Yoga in the Park is back again this summer at Oakdene Park! Join the Town of Kentville on Wednesdays in the summer from 5:30 to 6:30 pm. Bring a mat to relax or workout with a qualified instructor.